Business Bay, one of Dubai’s most vibrant precincts, has been named one of the world’s ‘top 10 coolest neighbourhoods to visit’ by Lonely Planet. 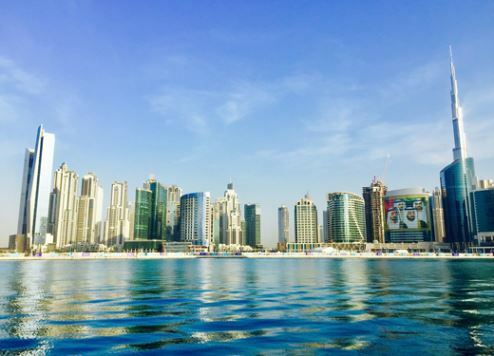 The list was put together by Lonely Planet writers from around the world and Dubai's Business Bay was selected by Australian travel and lifestyle journalist Lara Brunt who is currently based in Dubai. Business Bay is described in the listing as “one of Dubai’s most exciting neighbourhoods” that is “reinventing itself as a waterfront leisure destination”. “Bordered by glitzy Downtown Dubai to the north and intersected by Dubai Canal, there’s a 12km-long promenade for strolling, while ferries cruise south to Dubai Marina and north to the Al Fahidi Historic District,” according to Brunt. Business Bay was listed alongside some of the world's most famous neighbourhoods including Florence's Borgo San Frediano, Seoul's Seongsu-dong, Lisbon's The Triangle, Copenhagen's Vesterbro, Kuala Lumpur's Damansara Heights, New York City's Sunset Park, Rio De Janeiro's Botafogo, Seattle's Frelard and London's Tooting. The district is also home to two of The First Group’s newest hotel properties – The One Hotel at Business Bay and Sky Bay Hotel. The One Hotel at Business Bay will offer sweeping views across to Downtown Dubai where facilities will include specialty restaurants, bars and VIP lounges, a fully-equipped spa, business centre, and a luxurious first-floor clubhouse with swimming pool, gym and sundeck. Sky Bay Hotel will offer 430 fully serviced suites spanning 16 floors. Its high-quality amenities will include a gourmet restaurant and café, fully equipped business centre, concierge, tour and activity booking services, state-of-the-art fitness and leisure facilities and an outdoor swimming pool with sundeck. Both properties will be located in the heart of Business Bay, close to business and leisure attractions in Downtown Dubai including Burj Khalifa, Dubai Mall and Dubai Canal. They will provide convenient access to Dubai’s major transport links including Dubai Metro, and motorways Sheikh Zayed Road and Al Khail Road. Dubai International Airport is just 10 minutes by road from Business Bay.